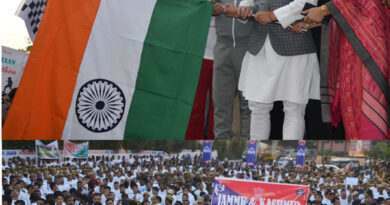 Terming broad-day light killings of two persons including a civilian and police personnel by terrorists in Kishtwar, as barbaric act, Team Jammu today asked the administration to identify and neutralize the anti-national forces immediately to restore confidence of the people. 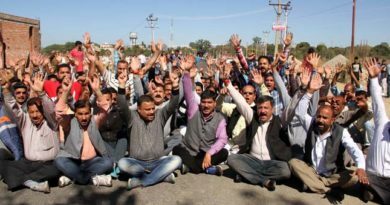 “Confidence of the people in general and minority community in particular has badly shattered due to such dastardly killing in the market of Kishtwar town”, Chairman of Team Jammu, Zorawar Singh Jamwal said and cautioned the authorities against adopting delay tactics in nabbing the culprits. Recalling the gruesome killing of Parihar brothers in November last year, Chairman Team Jammu, Zorawar Singh Jamwal said that “this was second attempt in less than five months in Kishtwar and it indicates that it was part of the deep rooted conspiracy to create fear psychosis among minority community living in Doda, Kishtwar and Ramban districts of Jammu Province. He further cautioned that some forces inimical to peace were hell bent to create communal divide in peaceful region through their nefarious designs. He exhorted the people to unitedly meet the challenge posed by elements inimical to peace and tranquillity. “Words fall short in times like these to express anguish over the colossal loss of human lives”, he said.